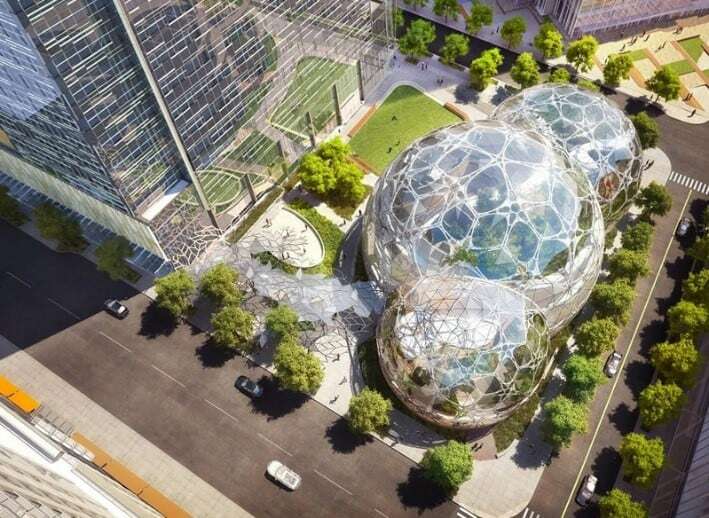 Opened in January 2018 at the base of the Amazon headquarters in Seattle, this series of intersecting biospheres designed by international architecture practice NBBJ delivers 65,000 sq ft of flexible workspace for Amazon employees. Inside are dynamic open workspaces designed to foster creativity, bathed in natural light and set to a backdrop of rivers, waterfalls and over 400 species of plant. The ventilation system also mimics a breeze to add further weight to the feel of an authentic rainforest environment. Run by Alistair Hall, a graphic designer at We Made This, @londonstreetnameplates is an Instagram account documenting the beautiful and diverse lettering of London’s street signs. This public archive of lettering offers a rich bank of typographic inspiration for designers, with each image supplemented by an informative caption noting the location and graphic detailing. 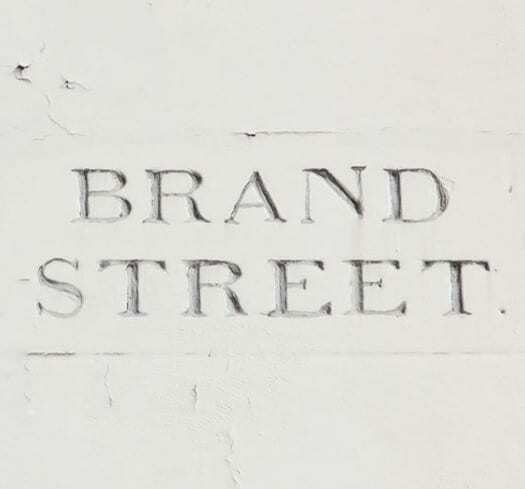 Alistair Hall is giving a talk on London’s street signs at the St Bride Foundation on 31st May. We’ll be in the front row. Based on the concept of community, GBH London’s identity for MOB Hotel of the People – a boutique hotel in Paris – is simple and joyful. In line with the underlying ethos of the brand that people can all learn from one another and are more powerful together, GBH approached the design of this project collaboratively with friends and family. Ingenious ideas include a retro cinema ticket-and-stamp system on rolls used for business cards and coffee vouchers or free entry to the courtyard cinema – printed on a 100-year-old machine at 100,000 tickets at a time. All of the printed materials have an ethical edge, with vegetable inks used for printing and organic cotton for tote bags, and the hotel itself incorporates a rooftop vegetable garden donated to local residents and basement workspace for startups to use free of charge for six months. The new identity for artisan coffee company Redemption Roasters by Here Design is bold, eye-catching and perfectly embodies the essence of the brand. Operating a roastery and barista training academy within Aylesbury Young Offenders Institute, Redemption Roasters redeems purposeful time through mindful work, helping inmates build their skill base with practical training. The branding – seen across packaging and within Redemption Roasters coffee shops in Bloomsbury and Farringdon – moves away from the category norms of craft brown and black, with a colourful mix of colours and symbols. A simple logo brings together the two ‘Rs’ of the brand name into a keyhole form, representing the unlocking of a prison door and untapped potential. On a mission to change preconceptions about dyslexia from a ‘learning disability’ to a ‘learning difference’, Sydlexia is a platform created by Sydney Dyslexia with identity by BBDO Dubai, offering techniques and training to facilitate ‘dyslexia correction’. 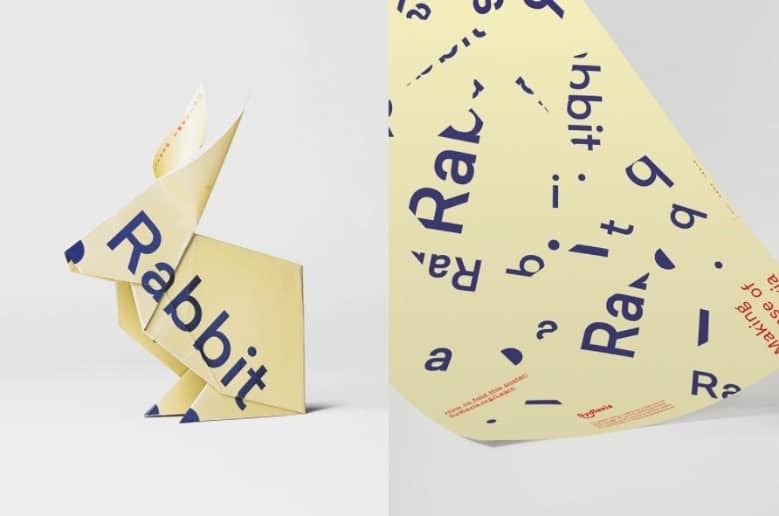 For Sydlexia’s first public engagement campaign, BBDO Dubai created a series of typographical expressions with shattered words, inviting engagement by folding to formulate complete words and their physical representations in paper animals. Partial letters for the nose or dotted letters for eyes add character and charm.